Need peace of mind for your family? 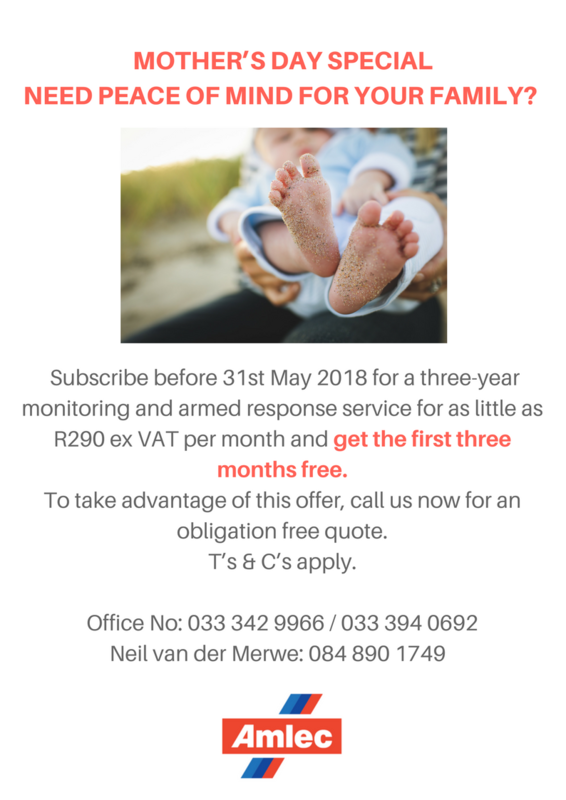 Subscribe before 31st May 2018 for a three-year monitoring and armed response service for as little as R290 ex VAT per month and get the first three months free. To take advantage of this offer, call us now for an obligation free quote.